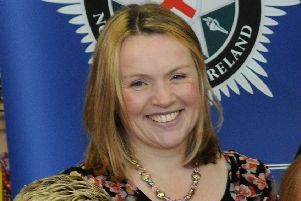 A 32-year-old woman was given a three month prison sentence last Friday at Craigavon Magistrates Court. Suna Capraz, whose address was given as Derry Street, Lurgan, was charged with common assault on a female on September 2, 2017. She pleaded not guilty to the offence but was convicted and the case adjourned until last week to get a pre-sentence report. District Judge, Mrs Bernie Kelly, said the case had run as a contest and she remembered the facts. She said that two people had to come to court to give evidence. She added they were accused of being liars in cross examination. The judge also pointed out that at the time Capraz was under a suspended sentence for exactly the same offence. “You had no defence to this case,” she told the defendant. For the common assault charge she imposed a sentence of three months in custody. The judge also invoked one month of the suspended sentence, to run consecutively, making a total term of four months.